The Symphony hicool air cooler is one of the smartest cooling devices. With its high intelligence and effective cooling, this device is sure to cool a room down in minutes. This device can store water up to 31 litres, ensuring that it won't run out soon. Also, this water cooler has a high air delivery rate of 1,750 cubic metre. To ensure that the water remains cool throughout the day, this device also comes with a high-quality ice chamber. 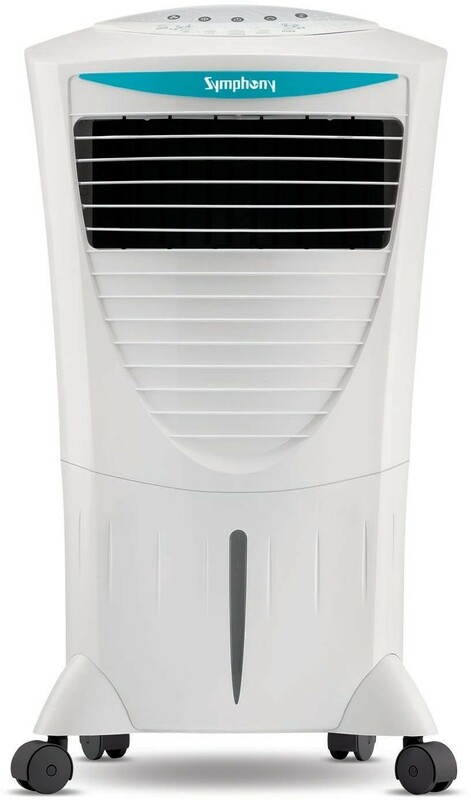 You can buy Symphony air cooler online and enjoy the summer. The Symphony hicool 185W air cooler uses dura-pump technology to ensure durability. This intelligent water cooler also features humidity control, along with a honeycomb cooling pad. You can control the device speed, switch it on/off and also set a sleep timer with the help of a user-friendly remote control. A mosquito and dust net protects your Symphony hicool cooler from external damage. Move this water cooler around from room to room with the sturdy, multi-directional wheels. 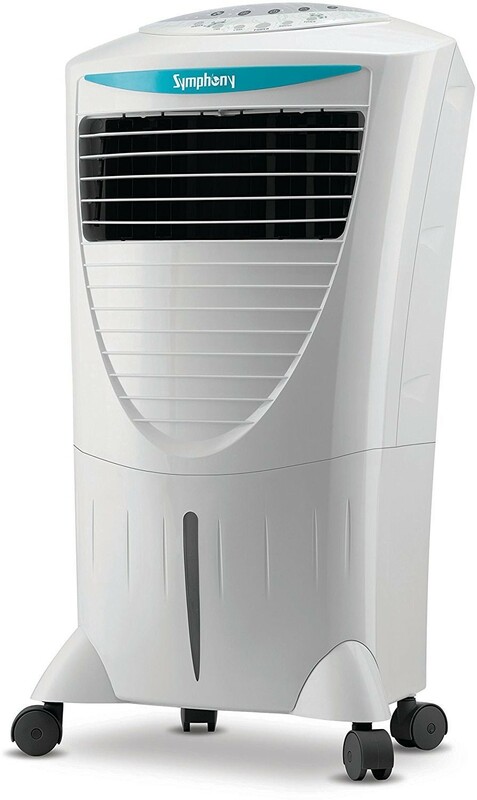 Also, this device ensures uninterrupted cooling even during power cuts, because it runs on an inverter as well.